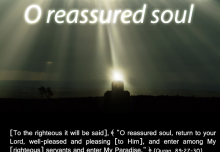 Understand Al-Qur'an Academy > Articles > The Importance of Fajr, Post-Ramadan! One of the most beautiful aspects of the blessed month of Ramadan is the praying of Fajr by the ummah in multitudes. Almost overnight, the musallis in masajids were full in Ramadan. It is interesting and heart-warming to see such a drastic change. However, there is a flipside. The fact is that despite the great training in the University of Ramadan during the intensive month-long course, on the very day of Eid the Masjid is empty for Fajr. All the ibadah for the whole month comes crashing down in just a day. So why does this happen? We could theorize a lot, but perhaps it is that we have lost the importance of Fajr in our lives. Let us discuss a few of the reasons why we should aim to make Fajr even after Ramadan! Allah says in the Quran, “Indeed, the recitation of Fajr is witnessed.”  However, is not every prayer and every recitation witnessed? Why does Allah single out Fajr specifically for this mention in the Quran? After all, Allah doesn’t mention something unless there is a strong reason for it! Imam as-Suyuti states, “The meaning of witnessed here means that both the angels of [previous] night and the angels of the [new] morning intently listen to the Fajr prayer being recited aloud because of its great status and virtue.”  Allah sends different angels for the night and the day, and it is only at Fajr that angels of both the night and the day witness it and listen to the recitation. The Prophet Muhammad sallallahu alayhi wasallam said, “Whoever prays Fajr is under the protection of Allah.” (Tirmidhi 2164)  The scholar, at-Teebi commented on this hadeeth saying, “The reason why Fajr prayer is singled out for mention here is because of the hardship that it entails, and performing it is a sign of a man’s sincerity and faith, and whoever is a sincere believer is under the protection of Allah.”  In a world that is rapidly descending into chaos and crime is increasing, is it not worth it that we try and gain the protection of Allah? Moreover, the protection of Allah is not only for the world, but also in the hereafter as we will see below. The Prophet sallallahu alayhi wasallam said, “Whoever prays the two cooler prayer times (i.e., Fajr and `Asr) will enter Paradise.”  The scholar, Ibn Allan comments on the hadith saying, “Fajr and ‘Asr were specified since they are two times when one can easily miss the prayer: whether they are lost in sleep during Fajr or engrossed in trade and work at ‘Asr. It is understood that the one who prays these two, usually prays all five daily prayers. Fajr is in the depths of the morning, right at dawn. It is something which isn’t readily witnessed by people around us unless they themselves pray Fajr. Therefore, the urge to show off is less, and therefore it is a big test of our sincerity as mentioned above in the quote from at-Teebi. Moreover, the Prophet sallallahu alayhi wasallam said, “The most burdensome prayers for the hypocrites are ‘Isha and Fajr, but if they only knew what they contain, they would come even if they had to crawl.”  This is a very stern warning from Allah and His Messenger sallallahu alayhi wasallam as we all very well know the consequences of hypocrisy aren’t too different from the consequences of disbelief. So, what can be done? I hope I haven’t made you hopeless with the article so far. It is also important to remember that Allah doesn’t expect from us perfection but requires us to make an effort. So, what effort can we make? Don’t forget to avail our Ramadan special discounted offers which are going to be closed soon, get them HERE. May Allah help us continue Ramadan productivity throughout the year Aameen Ya Rab! Satad June 22, 2018	Log in to reply. Helen June 22, 2018	Log in to reply. Masha Allah! 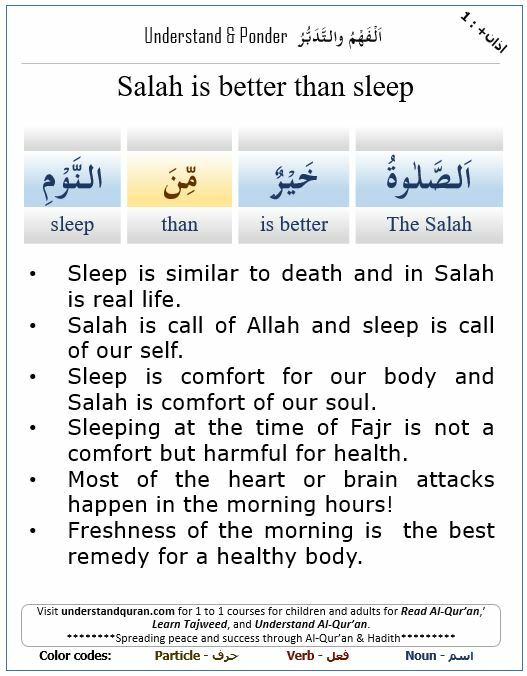 An eye opener to the importance of Fajr Prayer in our lives. May Allah never let us enter Jahannum even for a second. Ataus Samad June 24, 2018	Log in to reply. Significant and time worthy writings on Fajr Prayer. Anwar Chowdhury June 25, 2018	Log in to reply. I find it hypocrisy by not praying Fajr Salah but sleeping! AHEBWA June 29, 2018	Log in to reply. fatma January 4, 2019	Log in to reply.